Booking DJ Spoony will have everyone on the dancefloor at your special event! We are a booking agent for DJ Spoony, and can arrange for him to entertain your guests. DJ Spoony’s professional career started in 1997 after many years of DJ’ing as a hobby. His move to London Underground (a leading pirate radio station in the mid-nineties) was a pivotal point in DJ Spoony’s career as this is where he met two guys that were to have a huge effect and influence on his career. Alongside Timmi Magic and Mikee B they became the Dreem Teem. They were the leading ambassadors for a new musical genre, UK Garage that was to be a musical phenomenon and took the UK by storm. The Dreem Teem are widely regarded as the people responsible for making UK Garage the national and international phenomenon it was. Their individual DJ prowess and collective aura was very evident on air and this led to them being signed up to London’s Kiss FM. The popularity grew and with this came two extra radio shows on the network. The demand to produce and remix tracks and DJ around the country was allowing the ‘Teem’ to get their ‘sound’ to the nation. DJ Spoony was the lover of radio in the ‘Teem’ and would act as the focal point on air. After two years on Kiss FM came the opportunity to take their inimitable style to airwaves of the other major cities in the UK with a ground-breaking, syndicated show on Galaxy Radio. UK Garage was the ‘new’ rock ‘n’ roll and the Dreem Teem were its Beatles. The Dreem Teem and UK Garage were now big news. As their reputation in club land and on the radio grew, so did the attention of national radio, so it wasn’t a surprise to many when they got the call to join Radio 1. Spoony, Timmi and Mikee were to be hosts of the Sunday morning show, 10-1pm for three very successful years interviewing stars such as David and Victoria Beckham, The England World Cup Squad and Will Smith. They were to be influential in breaking the careers of Craig David, Ms Dynamite and Daniel Beddingfield. The guys were rewarded for their unmistakable style with a Sony Award. In 2003, the Dreem Teem’s tenure at Radio 1 came to an end. 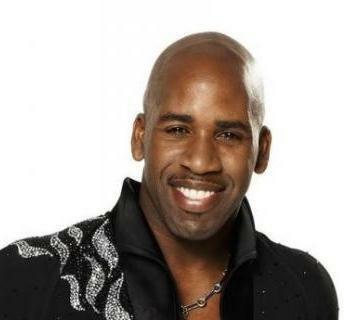 It was a ‘bitter, sweet’ moment for DJ Spoony as he was asked to stay on the network to become the host of the weekend breakfast shows. DJ Spoony’s weekend breakfast shows allowed listeners to join the Early Doors Club, play Judge Fudge, and become a Local Legend. Another long running feature was Mills & Spoon (a name play of the Mills & Boon books), in which Scott Mills read out love stories every Sunday. It turned out to be a great period in Spoony’s career, as the Breakfast Show became one of the most popular shows in the UK, hitting record audience figures. It was also in 2003 that Spoony joined Radio 5Live to become the host of 606, a weekly football phone-in show. His extensive career behind a microphone should not overshadow his first love, DJ’ing. He has played all over the world including Miami, Dubai, New York and South Africa, as well as Cyprus, Italy, Greece and has appeared in Ibiza every year since 1996. 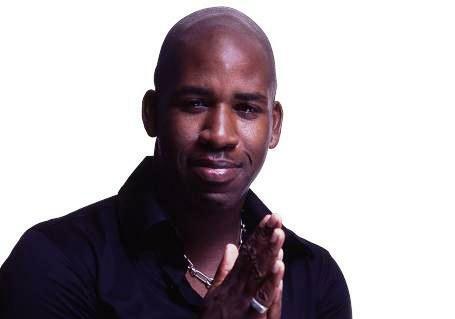 As resident DJ for the internationally acclaimed ‘Twice As Nice’ both in England and Ibiza DJ Spoony set the ‘sound’ of the most popular urban night the UK has ever had. He has been the Dj of choice at private functions for David and Victoria Beckham, Rio Ferdinand and Sir Alex Ferguson to name a few celebrity events and has worked for the national companies like Apple, Nike, Burtons and Selfridges. Proving his ‘multi-media’ talent, DJ Spoony has appeared the UK’s biggest TV shows including Strictly Come Dancing, MasterChef and is even a winner on Celebrity Mastermind. Outside of music and TV, Spoony has hosted many ‘Red Carpet’ movie premiers in London’s West End. Most recently ‘Men In Black 3’ interviewing Will Smith, Josh Brolin and Nicole Scherzinger. Previous premiers have been ‘SpiderMan’, ‘Hancock’, ‘Rambo’ with Sylvester Stallone and ‘The Other Guys’ with Mark Wahlberg and Will Ferrell. When not working DJ Spoony has many active hobbies. Football and golf the main two, playing Pro-Am events in Florida, Abu Dhabi and Monaco. He raises thousands of pounds for worthwhile causes, currently patron of The Jude Brady Foundation and has received an award from European Tour for his work with young, under privileged people in golf. Contraband is the UK’s top booking agent, with helpful, knowledgeable account managers who guarantee you the best deal possible. 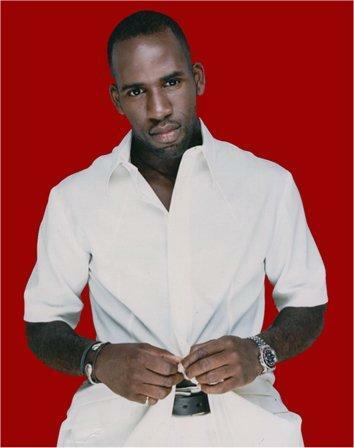 Contact us today if you would like to book DJ Spoony to be the headline of your event! We as your booking agent are more than happy to help you create the most memorable moments with DJ Spoony. The length of performance depends on the client’s requirements. DJ Spoony can perform anything from 10 – 70 minutes.